Weight is just over 5 lbs. 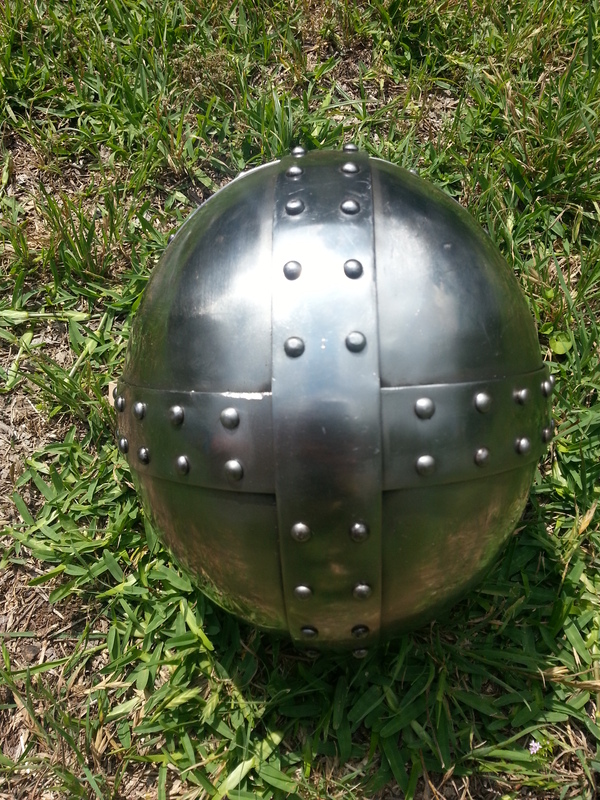 The helmet is also made of 14 gage steel, which is plenty strong enough for contact in reenactment. In my organization we do not allow head strikes on real people in sparring for safety’s sake, though naturally we do instruct striking the head in a number of different ways. All in all The helmet gives some decent protection and is very well constructed. It is also a very aesthetically appealing helmet in my opinion. 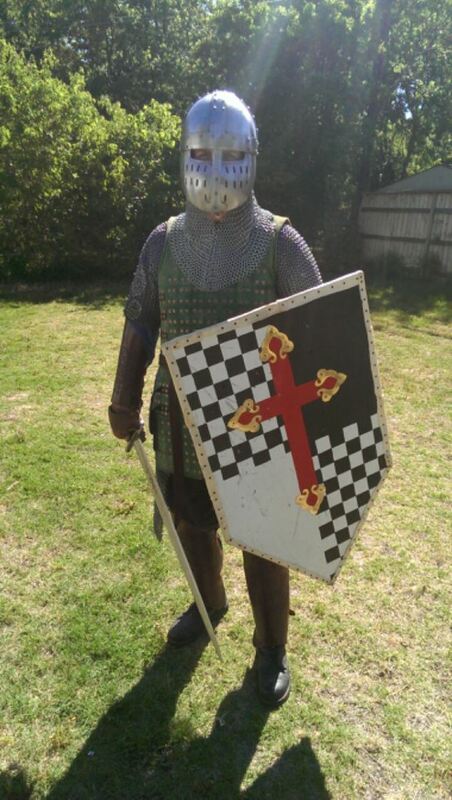 All of this said, it does not give the protection to the wearer that a great helm, or hound skull bascinet for instance provides for the wearer. 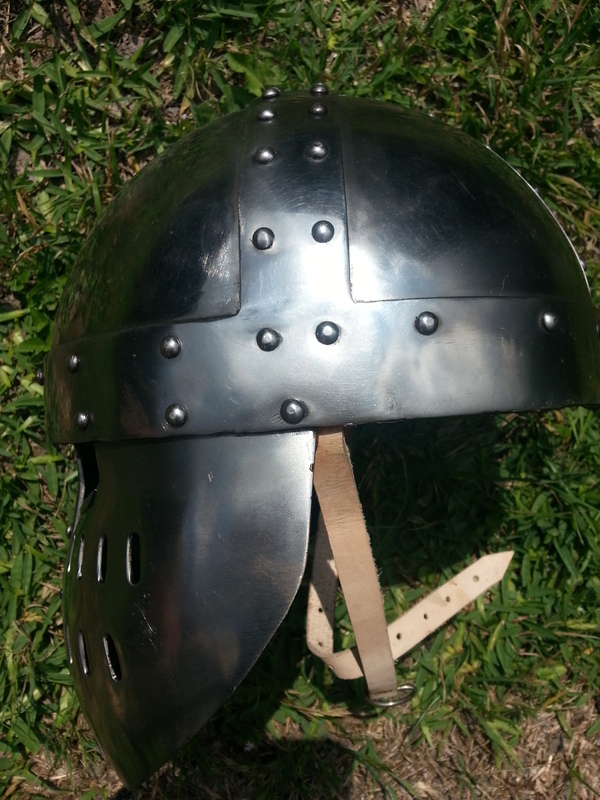 In the end, this a very nice helmet for light freestyle sparring, for heavy sparring and melee combat, I would suggest a helmet that gives more protection to the head. 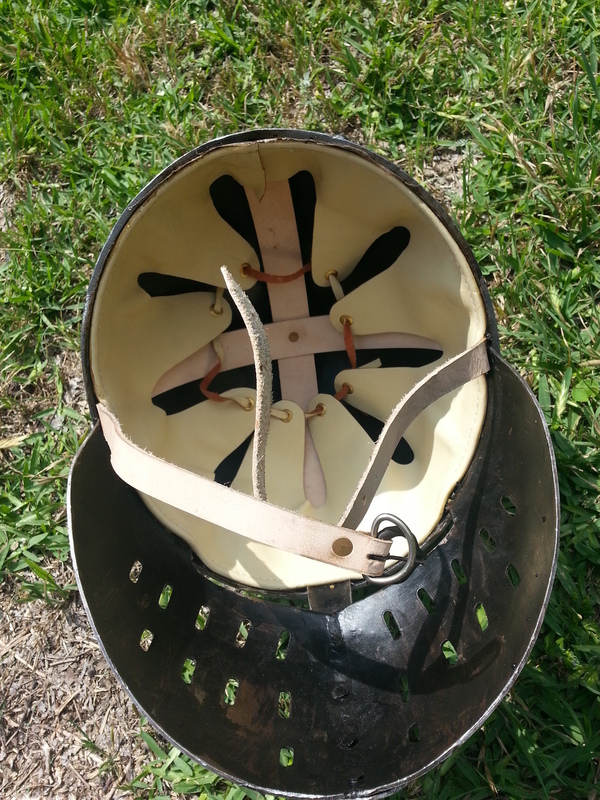 And I might add that this style helmet is an earlier type of period helmet than the great helm or bascinet so to get it is to give up some of the advantages of helmets came after this type of spangen helmet had seen action for a while. 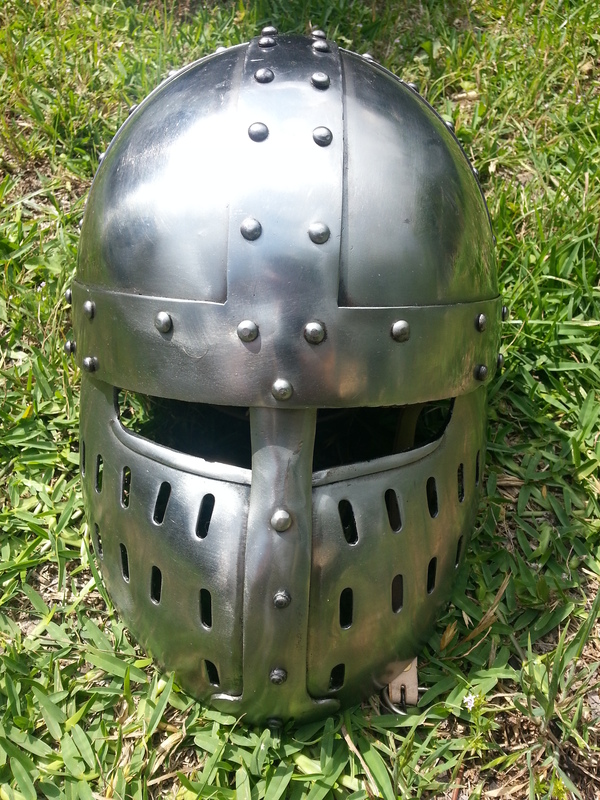 For the heavy fighting, melee, and tournaments where period armour are used, I will still use my great helm, but in training and light sparring this crusader spangen helm is a nice helmet to have.